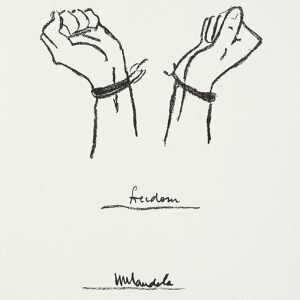 The original charcoal sketch was created by Nelson Mandela in July 2004 when completing a collection of works based on generic symbols. 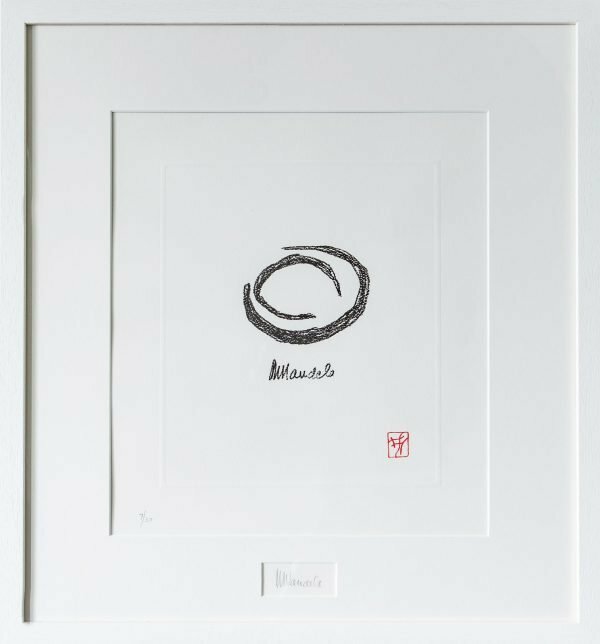 “Earth” consists of two Crescents, representing oceans and land. 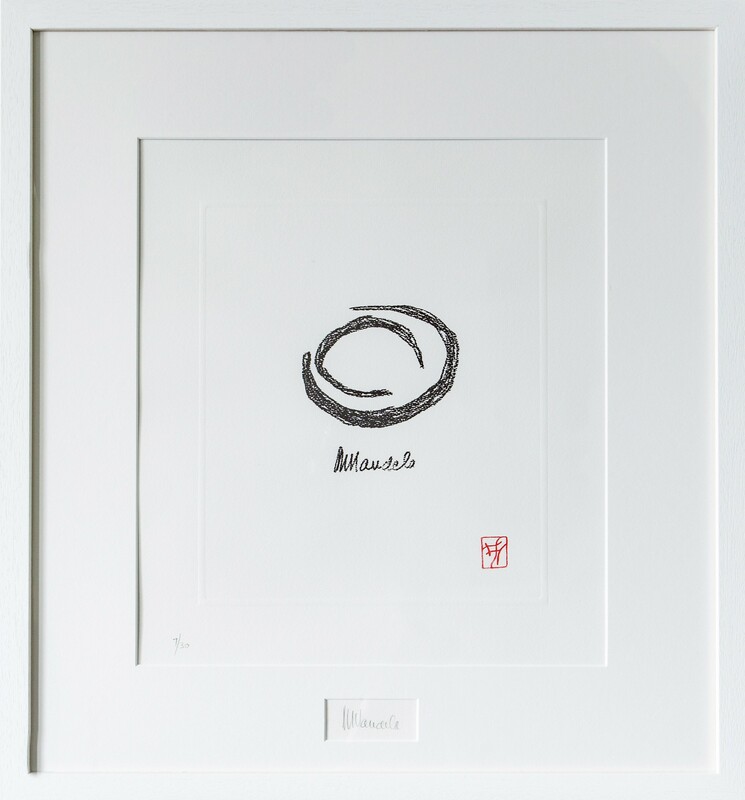 In this sketch the “Ocean Crescent” embraces the “Land Crescent” just as the oceans surround and embrace the land. 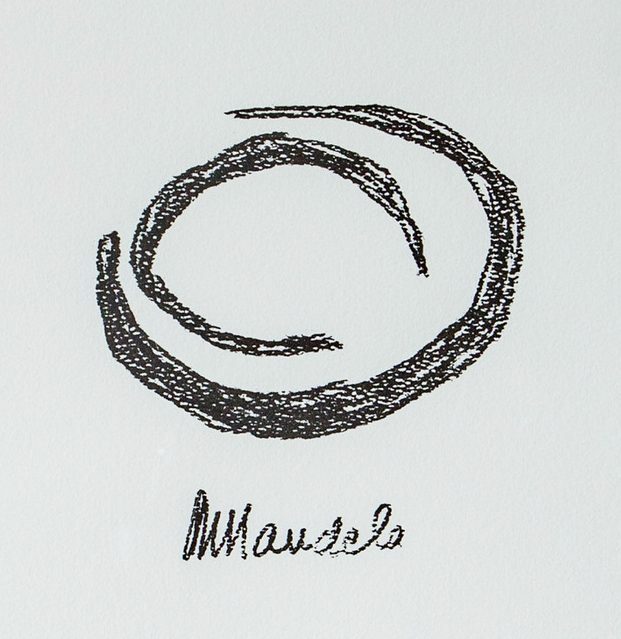 “We are all Islands, but the Oceans bind us together” he said when asked what the image represented to him. 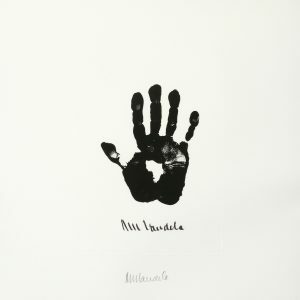 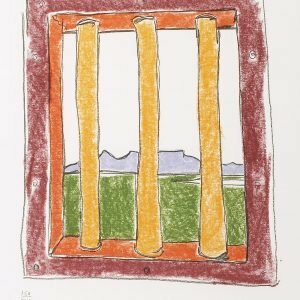 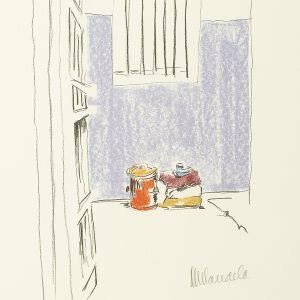 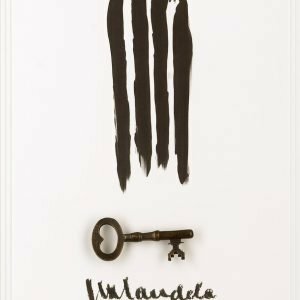 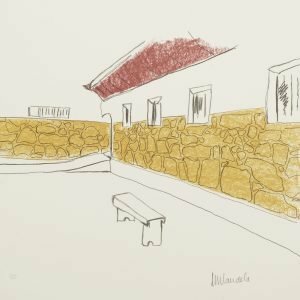 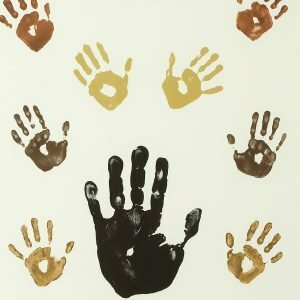 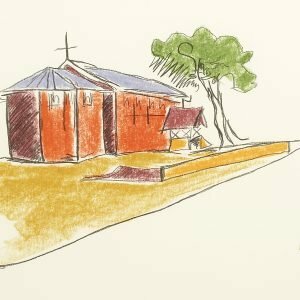 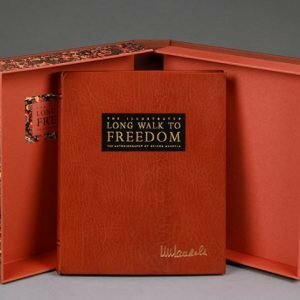 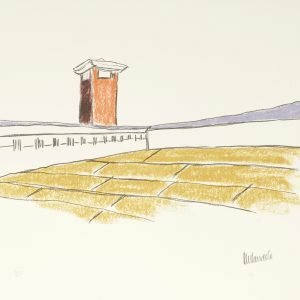 This limited edition consists of 30 posthumously hand printed silkscreen prints that include the Mandela life line stamp in Indian ink, the House of Mandela mark and the mark of the printer. 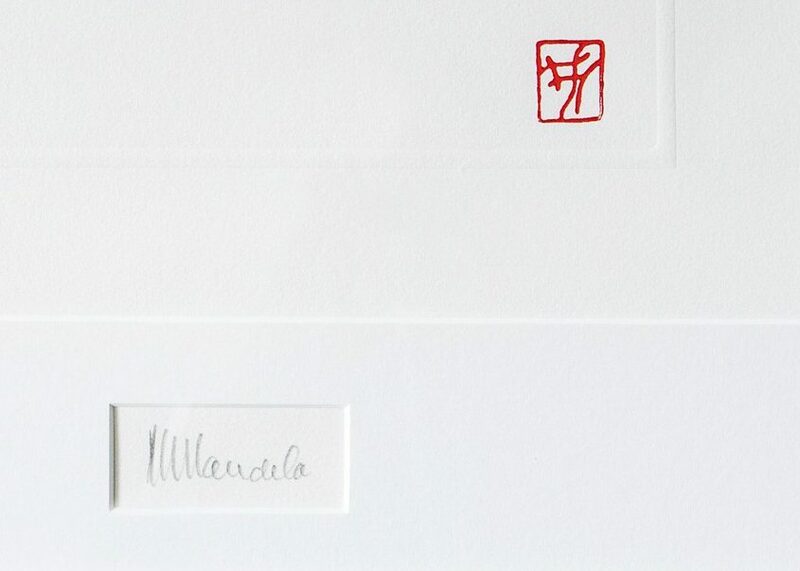 Each of the 30 numbered works includes an original Nelson Mandela pencil signature placed in a recessed window. 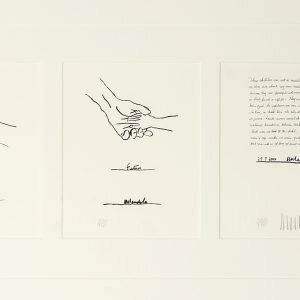 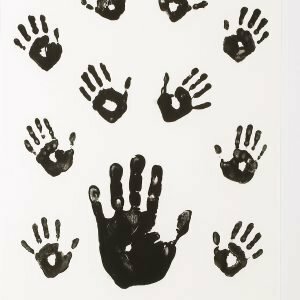 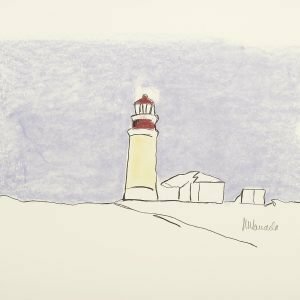 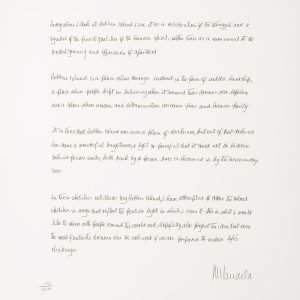 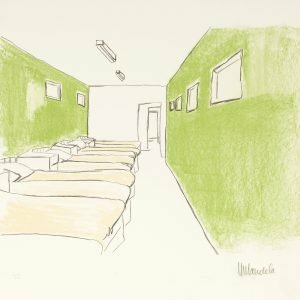 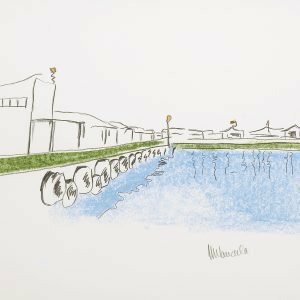 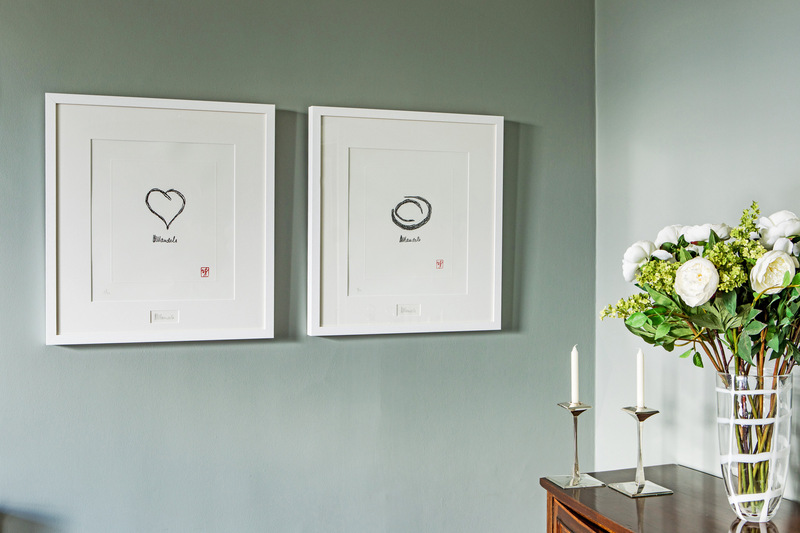 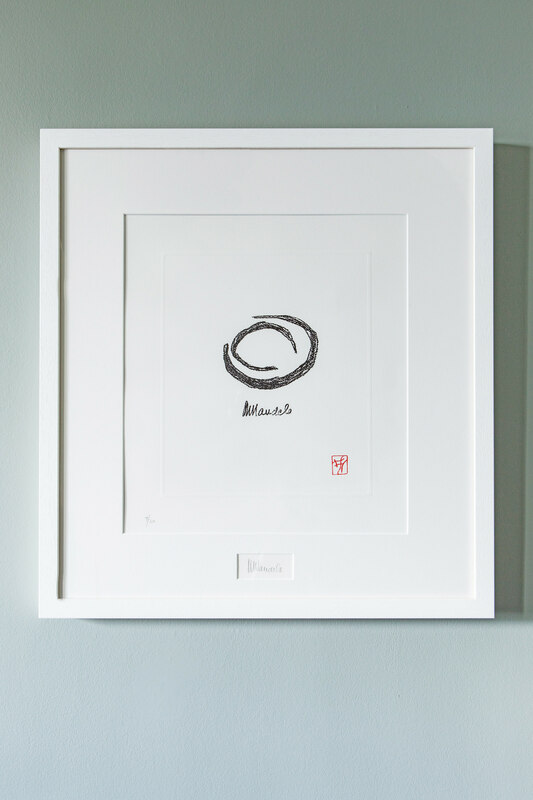 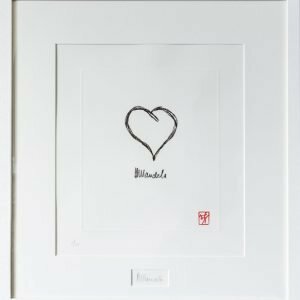 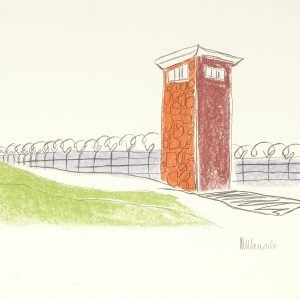 Each print is issued with a Certificate of Authenticity from the House of Mandela and from Belgravia Gallery, and is framed in either black or white ash.